Natu in game: 2,414 Who? Important notice! 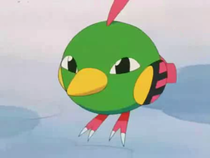 Pokemon Natu is a fictional character of humans. Natu is believed to be native to South America, although it can be found near ruins and in forests in other areas of the world. Natu usually forages for food on the ground. However, on rare occasions, it will hop onto branches to peck at the tree's new shoots. It also picks food from cactus plants, easily avoiding the buds and spines. 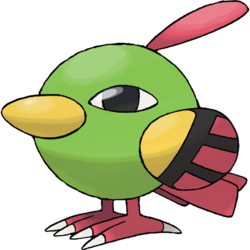 Due to its prophetic abilities, Natu is a very cautious Pokémon that is easily spooked. It has the quirky behavior of staring at something until the thing moves. Natu's debut appearance was in Doin' What Comes Natu-rally!. 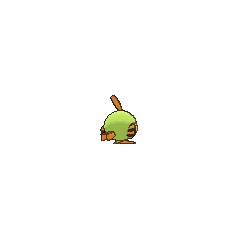 A Natu, along with its evolved form, appeared in Historical Mystery Tour!. 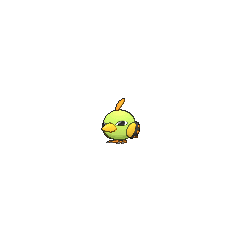 A baby Natu appeared at Mr. Shellby's house in Extreme Pokémon!. A Natu was also seen starring in an outer-space version of the movie Titanic in Lights, Camerupt, Action!. Three Natu, along with a Xatu, were used to signal the start of a Water Pokémon race in the movie Pokémon Heroes: Latios & Latias. A Natu appeared in the opening of Lucario and the Mystery of Mew. A colony of Natu appeared in A Staravia is Born!. 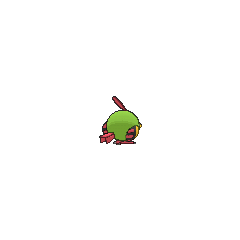 A Natu made a very brief appearance in League Unleashed!. Crystal owns a Natu which she first appeared in Slugging It Out With Slugma, whose Psychic attacks allow her to hold her own despite her size. Crystal also uses Natu to provide flight transport over short distances. In Lively Larvitar, the origin of Crystal's Natu is revealed: she, along with Crystal's Parasect, Hitmonchan, and Cubone, were wild Pokémon living in Mt. Mortar and had fought with a local Arcanine that had gone berserk from a severe eye injury. after the ordeal, Natu used her telepathy to detect if enemies were in the area. Sometime between the Gold, Silver & Crystal chapter and Emerald chapter arcs, she evolved into a Xatu, and with her came increased speed and flight stamina, though she isn't seen battling much. In Volume 22, Will is seen to have a Natu during Silver's flashback of his escape from the Masked Man, probably a pre-evolution of the Xatu he used many volumes earlier. Can delay your opponent's disruptions for a turn. 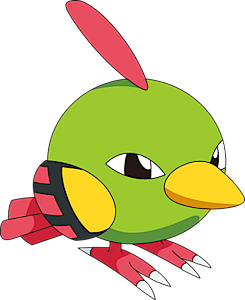 Natu is the shortest Flying-type Pokémon, and is tied with Chingling as the shortest Psychic-type Pokémon. Natu appears to be based on a parrot. It also resembles a quail.